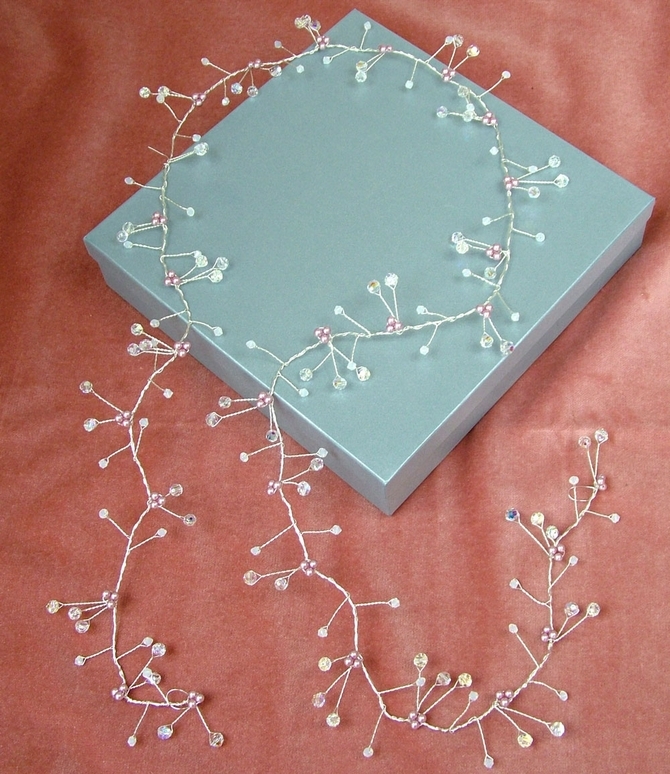 Extra long trailing crystal and pearl Statement hair vine on silver wire with faceted round Swarovski crystals, Powered Rose glass pearls and White Opal Swarovski crystals. The Powered Rose glass pearls look beautifully elegant while the 6mm faceted round Swarovski crystals really catch the light, giving you plenty of sparkle! 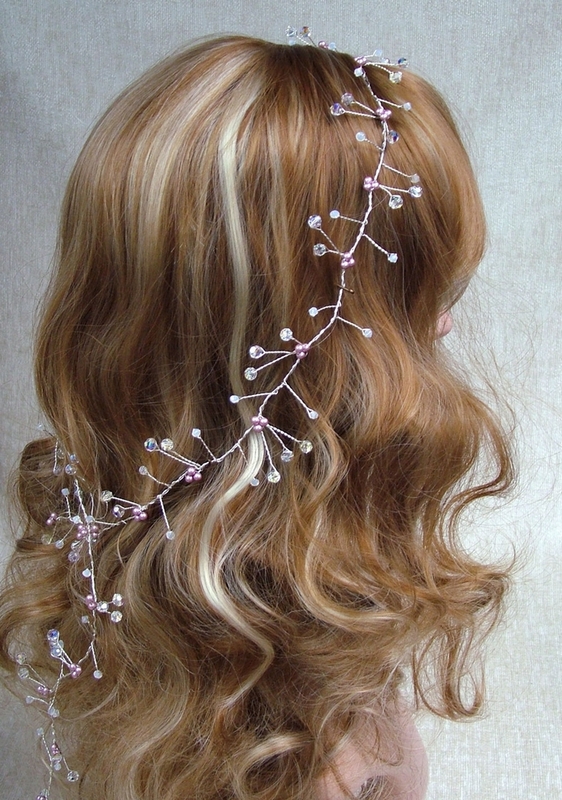 Measuring 44" / 112cm this style of bridal headpiece is ideal for longer hair. It's so versatile that you can weave it into your hair style, drape it down the back, wrap it around a plait or wear it as a double headband. This vine is very easy to pin in. 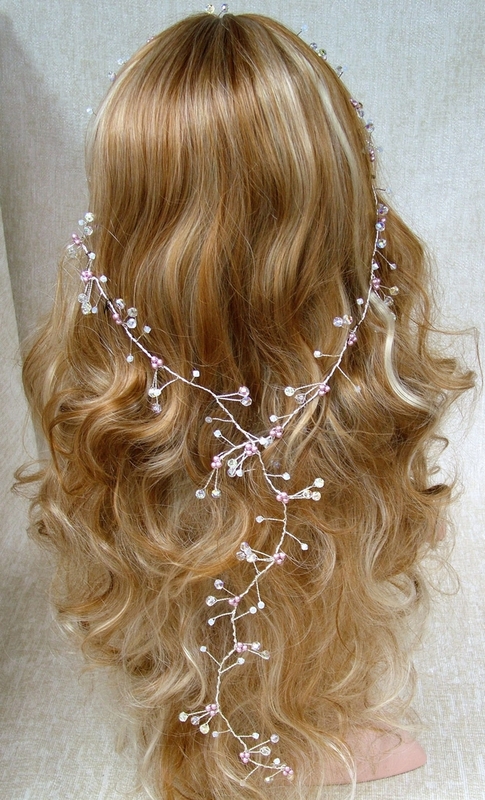 Your hairdresser will do it for you, or if you don't have a hairdresser, simply use hair grips to secure it in place. Each end is finished off with a wire loop so you can grip there as well. Also available in your colour choice of Swarovski crystals or pearls, just let me know with your order. Gold wire is also available. Any questions? Please contact me and I will get back to you within 24 hours.